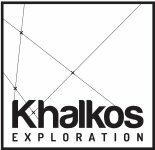 MONTREAL, QUEBEC--(Marketwired - April 12, 2013) - KHALKOS EXPLORATION INC. ("Khalkos") (TSX VENTURE:KAS), announces the signing of a letter of intent with Stria Capital Inc. (TSX VENTURE:SRA.P) ("Stria") allowing Stria to acquire Khalkos' Pontax-Lithium property. Stria can wholly acquire the Pontax-Lithium property in consideration of a cash payment of $100,000 and the issuance of common shares to Khalkos for a value of $250,000. The agreement is conditional to a satisfactory due diligence review on the property and is also subject to the approval of the regulatory authorities and of the boards of directors of both companies. It is intended that the acquisition of the Pontax Lithium property will constitute Stria's "Qualifying Transaction" in accordance with Policy 2.4 of the TSX Venture Exchange. As such the transaction is also subject to the approval of the TSX Venture Exchange and to other standard closing conditions. The Pontax-Lithium property consists of 82 claims and is located in James Bay, Quebec, approximately 350 km north of Matagami. It is host to an important lithium occurrence discovered in 2007. Stria Capital is a Capital Pool Company trading on the TSX Venture Exchange under the symbol SRA.P. Statements in the release that are "forward-looking statements" are based on current expectations and assumptions that are subject to risks and uncertainties. Actual results could differ materially. We undertake no duty to update any forward-looking statement to conform the statements to actual results or changes in our expectations.